Look around any part of Portland, and it is clear that the city is growing. New housing is popping up everywhere. Large corporations are setting up shop and creating new jobs. Public transit is in a constant state of expansion. Metro expects Portland’s population to increase by 260,000 residents through 2035. Longtime residents already complain about the massive uptick in traffic and rising rental prices, issues that surfaced when the population surged and local government was unprepared to manage the growth. 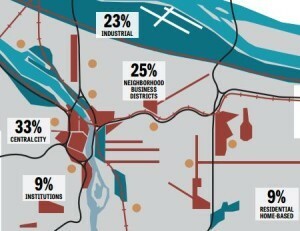 Now, Metro and other organizations are planning ahead, as shown in a 270-page report on how Portland will address future growing pains.